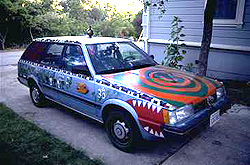 Meet Monsterville - the car that is a monster that has a city sprouting out of its head! 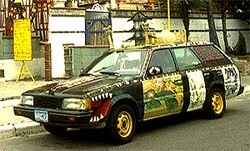 Monsterville, a.k.a. 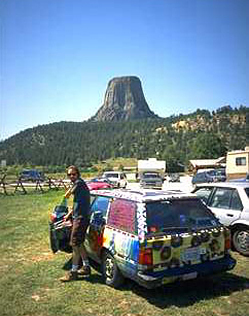 Arturo, has been an art car of many colors. 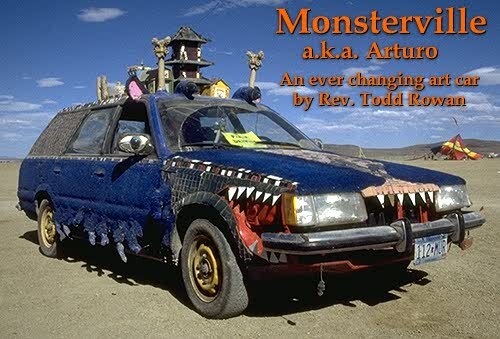 Over the past four years, this car been a Buddhist temple, a museum of Buddhist art, an ambitious graduate student, an ambassador of enlightment and now a happy monster.